2# Work hard through the most effective part of the stroke. Do you know what part it is? The answer is that it’s the part of the drive phase where all your levers are simultaneously engaged. The point where your legs, back and arms are all loaded at full leverage. Depending on your technique it’s where you have around 75% of the slide used, your body swing is in maximum speed of action and your arms are about to engage towards the pull phase. To get it right your timing is crucial. Unwind your angles … make sure your legs, back and arms are connected in time with the speed of the handle. It’s all about timing the opening up of your angles. This is tightly connected to tip #1. If you spend your power over the first 70 – 80% of the drive, try to release and relax the (dynamic) last few inches of your pull phase. As the handle comes in towards your body…. release the tension….. let it flow around the turn…. and move it away towards the beginning of the next power phase. Releasing the power a little earlier will help you to relax your arms and upper body, save you energy and enable you to focus on Tip #1 and Tip #2. All 3 are intertwined and changing 1 will require you to change all – for maximum efficiency and more power. If the maximal power point it at 75%, then would it be a good idea for competition to do half strokes with a larger drag factor and higher rating? I imagine this has been tried and decided by ergers before me. 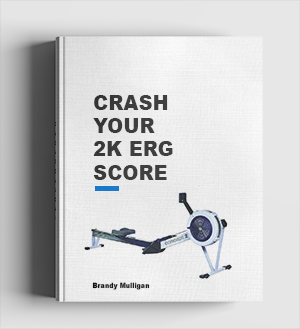 I just replied to your other comment in 7 Steps to Good Erg Rowing Technique. The topic in this post is related somewhat to what we spoke about in that other post. I have seen people try it. But I haven’t seen anyone really improve by doing it. It think the main reason is that you need the full 100% of length to gain enough momentum to really unwind your power through your body angles at that power point. I have seen one guy shorten up the stroke length occasionally (2 – 3 times) during an all out 6k test, just to get the wheel moving again. It worked for him (sometimes), but it probably cost him a lot of energy. Mostly it was frowned upon because, we were in a rowing setting where rowing (as in boat) technique was encouraged on the erg. (And in case you haven’t guessed by now, I don’t believe that applying rowing boat technique is good for going very fast on the erg. Feel free to ask some more questions. 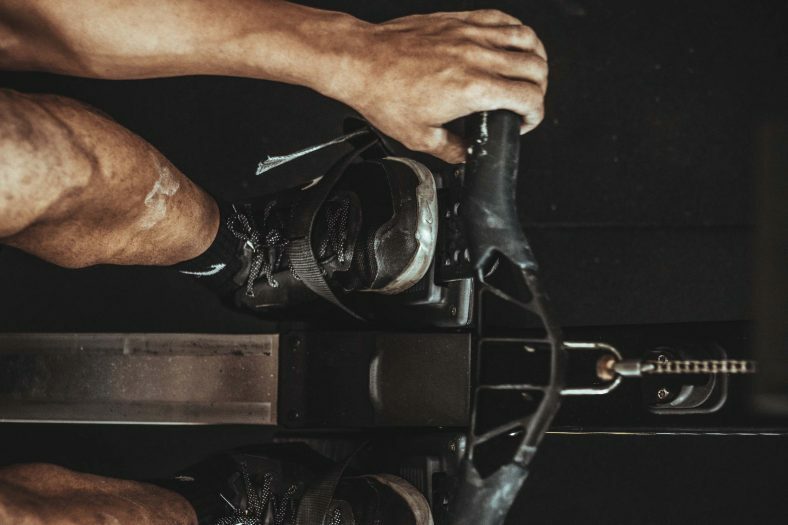 I saw a youtube clip of Rob Smith rowing a 500m record and I noticed that his rating was high, and I assume his drag was high if not maximal,…and the most impressive thing I noticed was that his strokes appeared to be partial–his shins not going anywhere near vertical. From this I infer that he is minimizing the deceleration of the flywheel by “tapping” the wheel with the most powerful segment of his stroke. 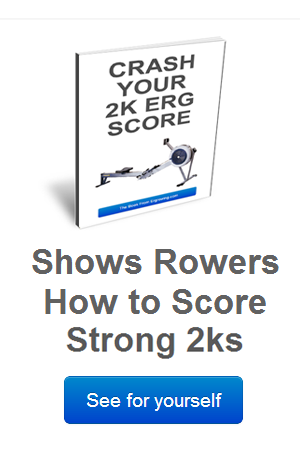 Now, I was wondering (and I do basically understand the cost of a high rating) if such a technique–partial strokes with high rating–has been successfully used over the 2k distance (indoors) with any success.